Former All Black coach John Hart’s daughter Kay (above) is the new president and chief executive officer of Ford Australia and New Zealand. Hart, 40, replaces Graeme Whickman, who has resigned to become the managing director of Melbourne-based GUD Holdings, an automotive parts group with earnings in the 2017 calendar year of almost NZ$60 million. GUD Holdings is listed on the Australian Stock Exchange and valued at NZ$1.3 billion. 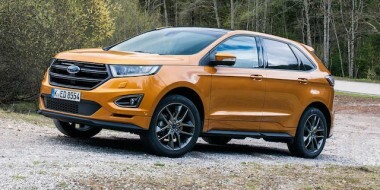 Englishman Whickman’s resignation from Ford is effective immediately. He will take up his new role on October 1. “I know I leave a much stronger Ford Australia and New Zealand than only a few years ago, a company that has a strong and vibrant future,” said Whickman. Hart has for the past nine months been the US-based global chief of Ford’s battery electric vehicle (BEV) programme. Previously she was marketing manager for the Asia-Pacific region. Other executive posts with the carmaker include two years as managing director of Ford of Phillippines. Both Whickman and Hart began their motoring industry careers with Ford NZ, Whickman as an operations manager in 1997 and Hart in the company’s marketing department in 1998. Hart is Ford Australia’s first female president and CEO and will report to Ford Asia Pacific president and Ford Group vice-president Peter Fleet. 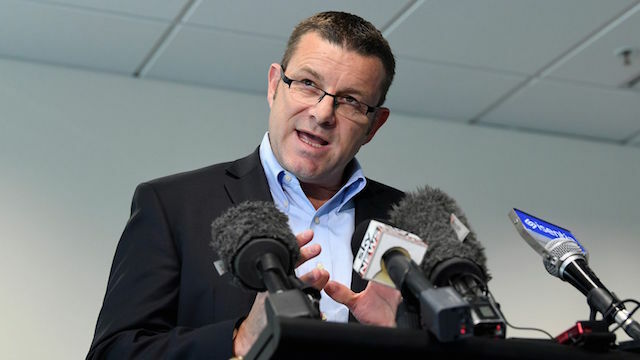 “I am excited to come back to Asia Pacific and work with such a strong and accomplished Ford Australia and New Zealand team,” Hart said in a statement. Fleet praised Hart’s performance in previous roles. “Kay is a proven leader, highly motivated by consumer insights and dealer relations,” he said. Fleet also praised Whickman (above) and his contribution to the Blue Oval. “Graeme has enjoyed an accomplished career at Ford. He has been instrumental in significant efforts around the globe including Canada, China and most recently, leading the transformation of Ford’s business in Australia and New Zealand. We thank Graeme and wish him and his family well,” said Fleet. Hart takes the top job two months after Ford Australia was fined NZ$10.8 million by the Federal Court over the way it dealt with consumer complaints about its PowerShift transmission (PST). The court found Ford had engaged in unconscionable conduct by blaming the fault of the transmission on the customer’s driving style. The PowerShift transmission was fitted to Fiesta, Focus and EcoSport vehicles between May 1 2015 and February 29 2016. A quality issue led to some owners experiencing excessive clutch shudder, noisiness, delayed acceleration and jerking when accelerating. The Australian Competition and Consumer Commission reported that 37 per cent of vehicles fitted with a PST had at least one clutch replacement. The court heard Ford had communicated with its dealers about the issues, but did not provide adequate information to the affected customers. Former CEO Whickman said of the court’s decision that the carmaker accepted the fine and was committed to “making right” with affected customers. “As we said from the outset of this action – we took too long to identify the issues and we acknowledge that PowerShift customers did not have complaints handled appropriately between May 2015 and February 2016,” said Whickman. Meanwhile, former Ford Australia product communications manager Neil McDonald will return to the company after a two-year stint at Honda Australia. McDonald will return to the Ford PR team and will have responsibility for the Takata airbag inflator recall. He was previously with Ford for five-and-a-half years until he left in 2016 to join Honda. Aug 12 | Will new Toyota Supra be as ‘popular’ as Previa?